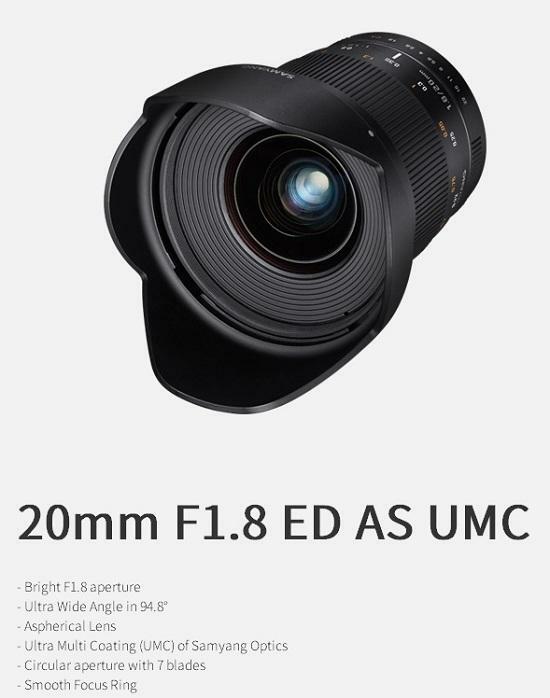 extremely bright wide angle fixed photo lens Samyang 20mm f/1.8 for Canon EF mount. Build for crop and Full Frame cameras. Samyang 20mm F1.8 is compatible with 10 camera mounts: Canon EOS, Nikon AE, Pentax K, Sony ∝, Canon M, Fujifilm X, Samsung NX, Sony E, FT, MFT.